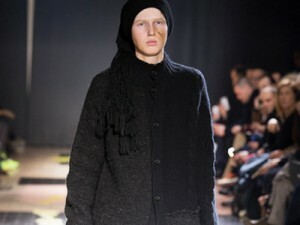 Massimo Giorgetti has been holding the flag up high for young designers from Italy. 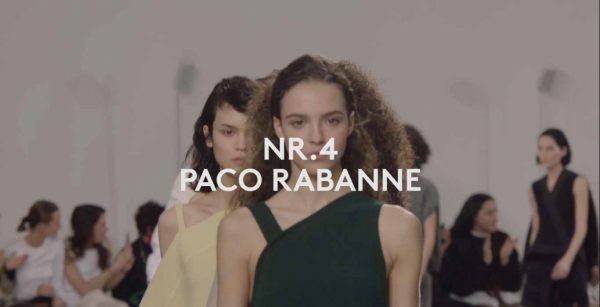 His label MSGM which stands for a new fresh contemporary voice in fashion, while his work for LVMH-owned Pucci sits him at the table with the big boys in Paris. Let’s not forget as he proudly pointed out after the show, all his clothes, shoes and accessories are 100 percent made in Italy. No cheap shortcuts in Eastern Europe or even Asia. Giorgetti is not only at the forefront of a new relaxed fashion vibe but he is also creating jobs. 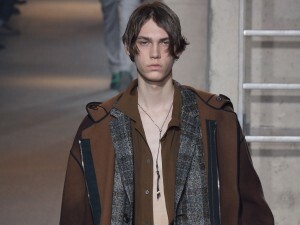 His new men’s collection presented a mature line up of tailoring, very new for MSGM. 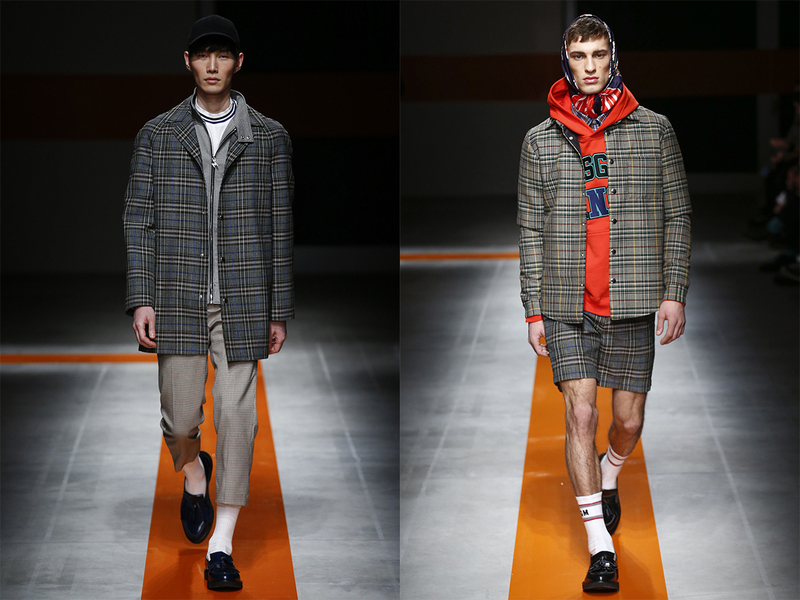 While he essentially started the label with sweatshirts, his design chops have considerably grown and he showed wonderful long coats and jackets in a Prince of Wales meets Tartan look alike fabric, which he makes together with Bonotto, currently Italy’s most path-breaking fabric manufacturer. 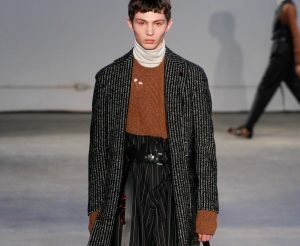 These pieces, while worn with easy slacks and loafers dialed up the reality factor of the collection. 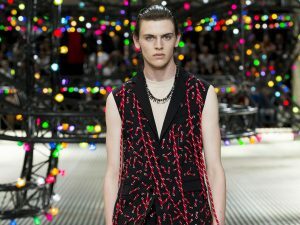 Of course, MSGM also stands for clever styling and Giorgetti used headscarves on the models, which he took from paparazzi shots of the British Queen. This was fun and cool. 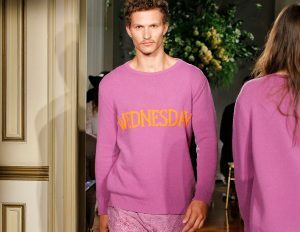 Underlining the Made in Italy factor, he presented a capsule collection, which he makes with Italian sportswear brand Diadora. Things are clicking at this house, combining the designer’s penchant for youth culture with old school Italian brands. 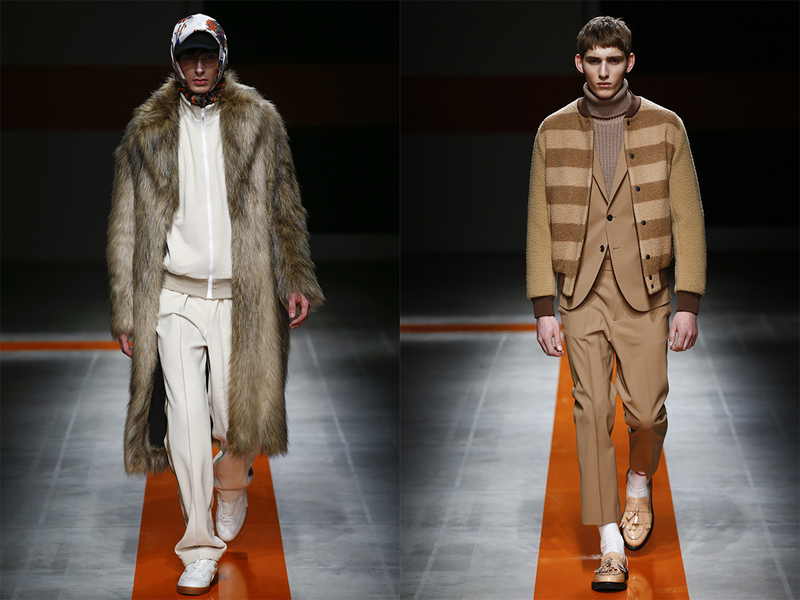 The rest of the collection was more sportswear driven as Giorgetti sent out scores of track suits and wonderful camel striped bomber jackets. Before the show, the audience was greeted by a film, which represented a cinematic mood board of the collection created by Roman artist Nico Vascellari who used his personal image library mixed with Giorgetti’s brief to set an anticipating mood. Vascellari is another Made in Italy name to watch for, as his artwork will be shown in the prestigious Palais de Tokyo in three months. Hence, a perfect package. Sing it one more time Yohji! Who knew chain-mail and comfort-wear could go so well together?